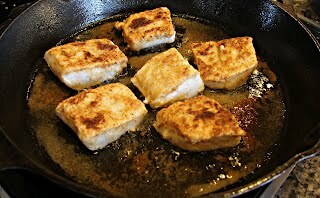 Making a dish like pan fried cod or other fish/meat with a pan sauce is really more about technique than specific ingredients. 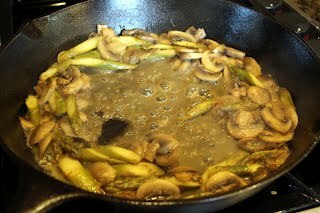 Once you know how to properly pan fry or saute your protein and veggies, then make a sauce right there in that same pan, you will have the skills to make all kinds of wonderful dishes. Chicken Picatta comes to mind as one of my faves. I know (because they’ve told me) that a lot of people are intimidated by things such as these so I’m here to demystify the process for you. Feel free to use whatever mild, white fish you have on hand. 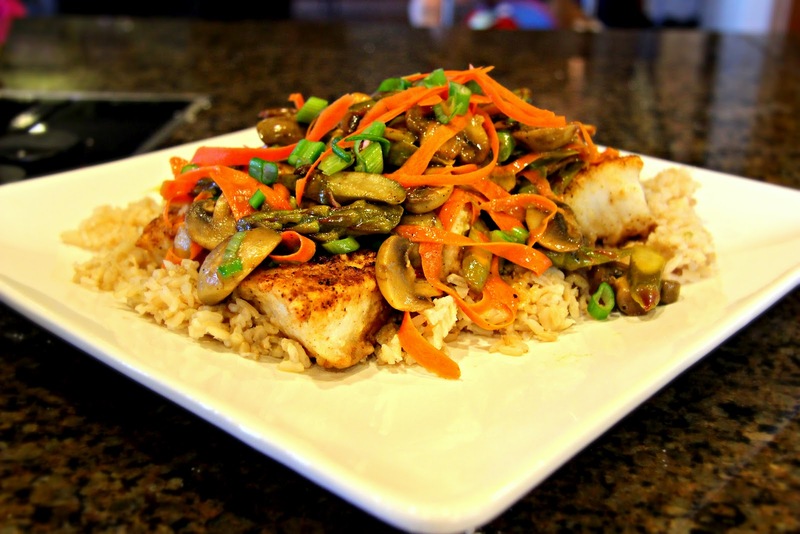 Halibut or tilapia would both be great substitutes for this dish. You may also add or omit any veggies you do or do not prefer. My beurre blanc (translates to “white butter”) sauce has considerably less butter than is typical but I find it to be adequately decadent for my taste. Add more, as well as a dash of heavy cream, if you’d like a richer sauce. 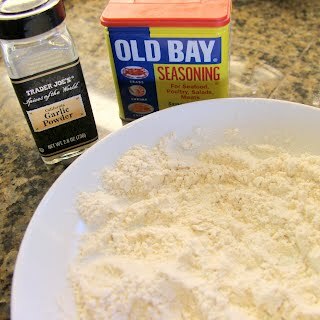 ~ A note to my gluten-free friends… You may easily season and saute your fish without the flour. Just adjust seasonings and oil as you won’t need as much of either. 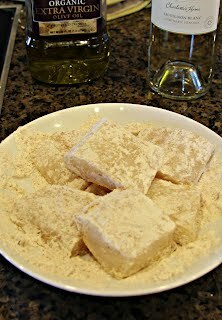 OR, of course, substitute all-purpose with gluten-free flour/cornstarch. Then just follow directions for the sauce and you will have a lovely meal. This serves 2-4 people depending on hunger level. 3oz of fish is recommended if you’re watching your portions. Prep your veggies and have all ingredients on hand before you begin cooking! 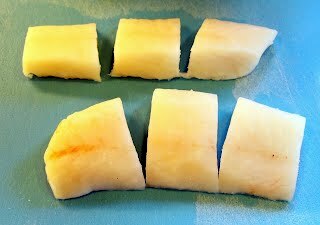 Cut cod in uniform pieces, about 2 oz each. Dry the fish thoroughly with paper towels so it doesn’t steam in the pan. It’s very important to make sure whatever protein you’re using is nice and dry before pan frying or sauteing! 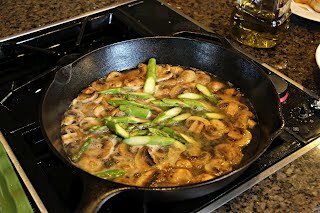 Preheat canola oil in a heavy-bottomed skillet (cast iron works great) on medium-high heat. It should be 350 degrees on a candy/deep fry thermometer. If you don’t have a thermometer, you may test it by dropping a little of the flour mixture in the oil, if it bubbles up and browns immediately, it’s ready. 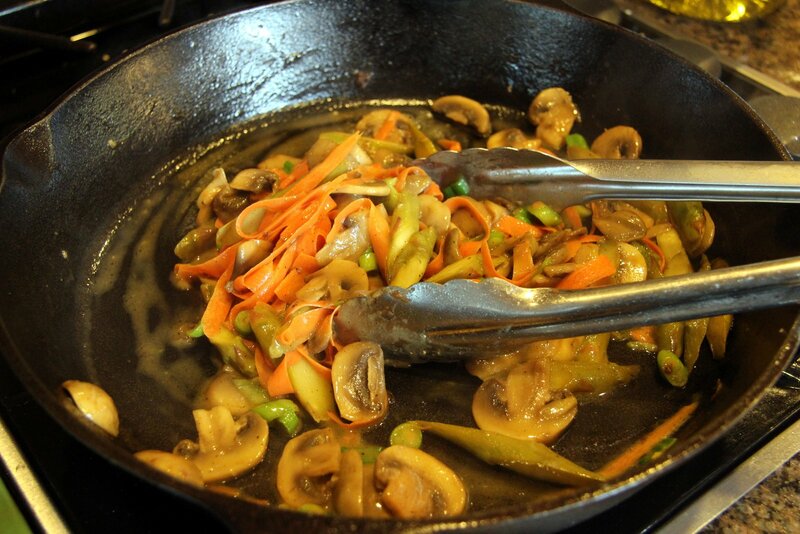 Carefully, place each piece of fish in the oil, I use tongs so the oil doesn’t splatter and burn my fingers. Cook 3-4 minutes on each side. They should be golden brown like in the picture below. If you have a mesh splatter screen, it’s helpful to place it over the pan to control the oil from making a huge mess on your stove. 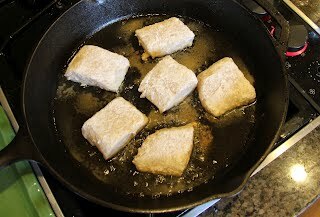 Place cooked fish on a paper towel-lined plate/platter to soak up excess oil and cover with foil to keep warm. Set aside. With a large spoon, remove excess oil from the pan (just put it in a heatproof vessel, I use my pyrex measuring cups but a heatproof bowl would be fine, next to the stove so you don’t have to move the pan). Be careful to leave the brown bits in the pan as they add flavor! 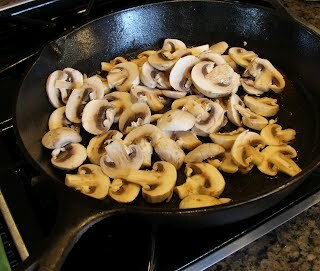 Add mushrooms to the pan with olive oil. You can use your canola oil to cook them in if you like, I prefer to use olive oil for this step. The reason I use canola oil to fry them is that it can withstand a higher heat than olive oil. Saute mushrooms until they begin to brown. Add wine. Do not add asparagus as I did at this point!!! It was way too soon. Rookie mistake (sigh). Cook on medium-high heat until the wine reduces to more of a paste than a liquid. 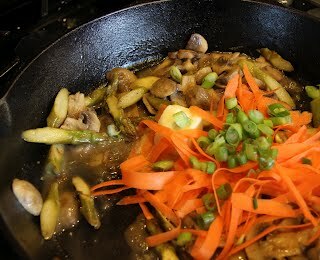 You may now add your asparagus and cook for a couple minutes before adding the other veggies. It should retain it’s bright green color, unlike mine. 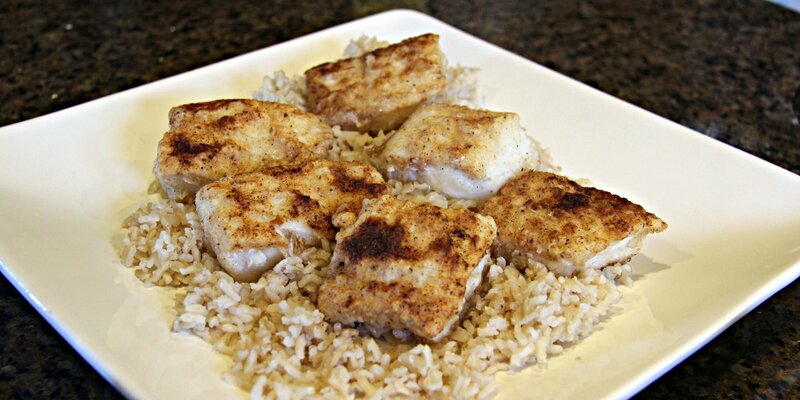 Meanwhile, arrange fish over a bed of brown or white rice. Stir in lemon juice then add cold butter to the pan and turn off heat. Stir until the butter is melted, but still creamy in texture – this is very important – if you cook it too long it will separate and become oily. 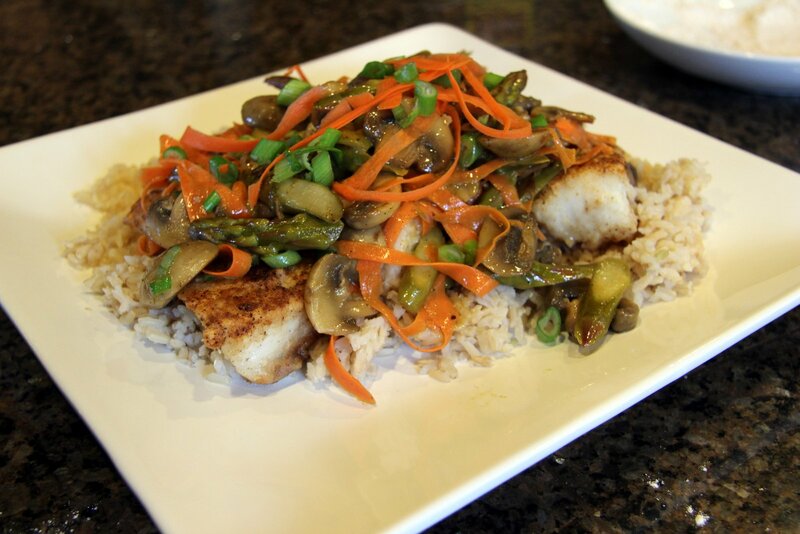 Arrange vegetables over the fish, garnish with remaining 2 TB green onion and serve immediately. I like the family style presentation! Happy Father’s Day to all you Dads out there (especially my husband) who are our true partners, realize we need breaks on a regular basis, and provide the much-needed balance for raising healthy, strong, kind children!